Research and development in haptics is performed by small groups of researchers with a variety of backgrounds at many different places in the Netherlands and Belgium. The purpose of the network meeting is to bring these people together, to allow for informal, but yet technical discussions about each other’s work. By doing so, we strengthen haptics research in our geographical area and allow interdisciplinary research ideas to be developed. This year’s meeting will take place at the Faculty of Human Movement Sciences of the VU University in Amsterdam on the 27th of March from 10.00 till 18.00h. 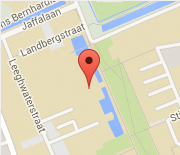 People from haptics labs outside Netherlands or Belgium are of course also welcome to join this meeting! !